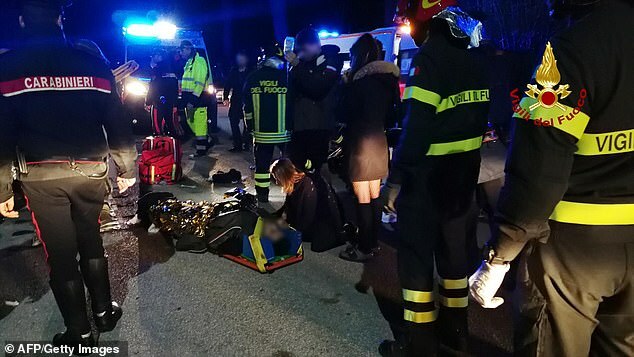 Six people including five teenagers were crushed to death and more than 100 injured in a stampede at a nightclub in Italy. 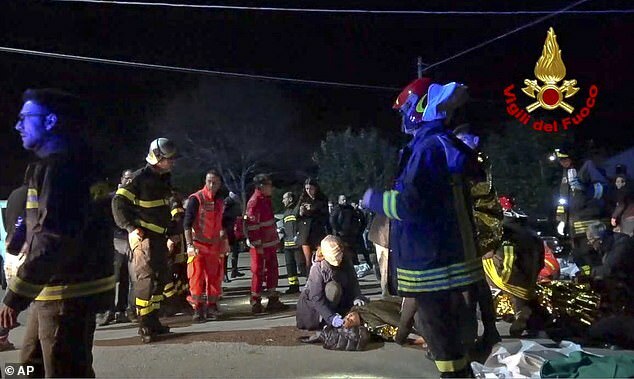 Among the dead are three girls, two boys and a mother who had accompanied her daughter to the Lanterna Azzurra club in Corinaldo near the eastern coastal city of Ancona. 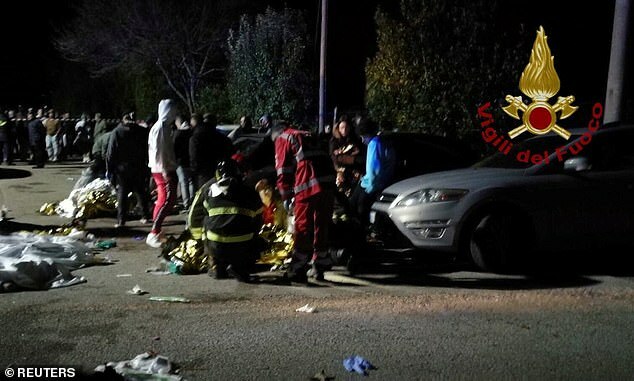 Around 35 people were taken to hospital – with 12 seriously injured – after the incident, police chief Oreste Capocasa said at the scene. Local reports say there was panic after pepper spray was fired inside the club where Italian rapper Sfera Ebbasta was entertaining the crowd. 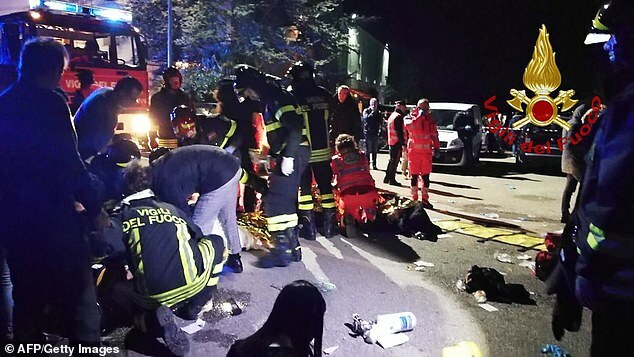 Italian Interior Minister Matteo Salvini said there possibly was a ‘stink’ that could have been ammonia or another substance. Salvini added that the venue probably allowed ‘more people in than was permissible’. It’s thought around 1,000 revellers were in the venue at the time. 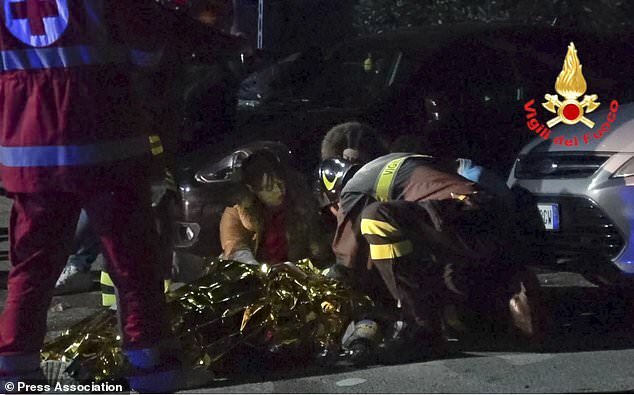 A police official told Sky Italia TV that the teenagers were all aged between 14 and 16, while the dead woman was 39. A teenager told Italian news agency ANSA he discovered that at least one of the emergency exits was locked when he tried to flee.